Lise Alschuler is a naturopathic doctor with board certification in naturopathic oncology and has been practicing since 1994. She graduated from Brown University with an undergraduate degree in Medical Anthropology and received a doctoral degree in naturopathic medicine from Bastyr University. Dr. Alschuler is past-President of the American Association of Naturopathic Physicians and a founding board member and current President of the Oncology Association of Naturopathic Physicians. She also currently serves as President Emeritus on the board of the Naturopathic Post-Graduate Association. 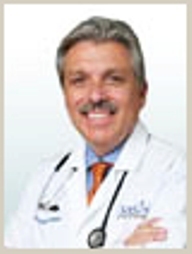 Dr. Alschuler works as an independent consultant in the area of practitioner and consumer health education. She is the Executive Director of TAP integration, a nonprofit educational resource for integrative practitioners. 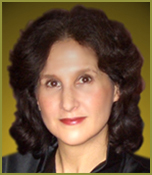 She maintains a naturopathic oncology practice out of Naturopathic Specialists , based in Scottsdale AZ. Previously, she was the department head of naturopathic medicine at Midwestern Regional Medical Center – Cancer Treatment Centers of America. She was also the clinic medical director and botanical medicine chair at Bastyr, as well she was on the faculty of Southwest College of Naturopathic Medicine. The American Association of Naturopathic Physicians recognized Dr. Alschuler in 2014 as Physician of the Year. She also received an honorary degree from the Canadian College of Naturopathic Medicine and the Joseph Pizzorno Founders award from Bastyr University in the same year. 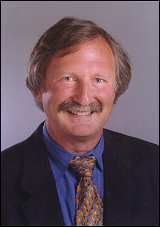 Dr. Alschuler is the co-author of The Definitive Guide to Cancer and The Definitive Guide to Thriving After Cancer. She co-created http://www.FiveToThrivePlan.com, and co-hosts a radio show, Five To Thrive Live! on the Cancer Support Network about living more healthfully in the face of cancer. She calls Tucson AZ and Chicago, IL home. Learn more at http://www.drlise.net. Dr Francisco Contreras and Dr Arlene Donar as Guests on the Holistic Health Show. The interview follows. I hope it will be informative for you.